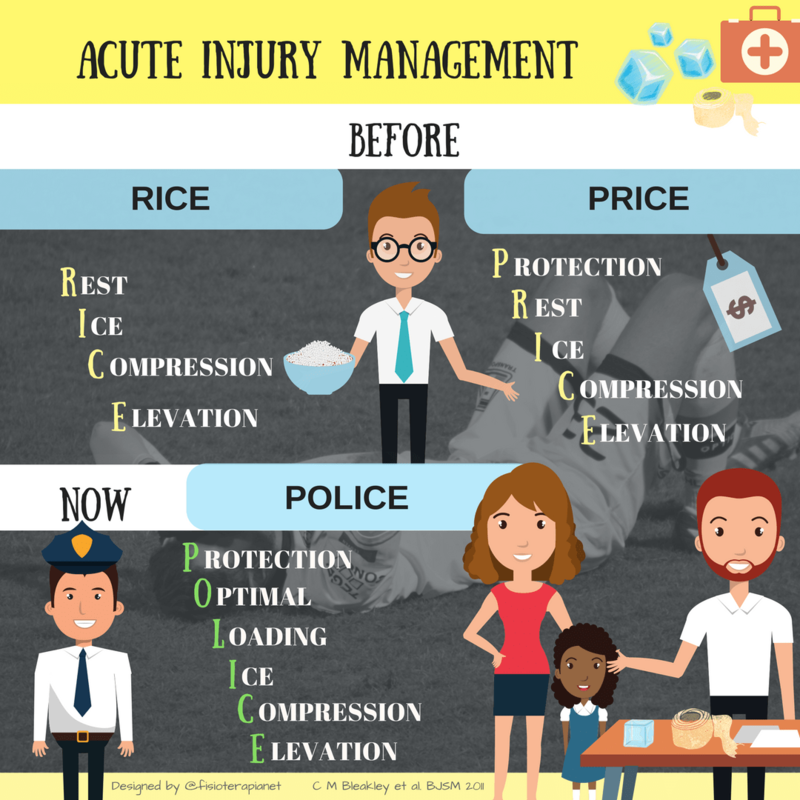 We have been using RICE (rest, ice, compression, elevation) and PRICE (protection, rest, ice, compression, elevation) for acute injury management for many years and, sadly, still some using them nowadays. It is time for a change and start using POLICE (protection, optimal loading, ice, compression, elevation) seems to be the most sensible decision. Rest is part of the past and OPTIMAL LOADING is here to stay. This infographic is based on PRICE needs updating, should we call the POLICE? by C M Bleakley et al. You can also watch an entertaining video talking about the POLICE protocol here.